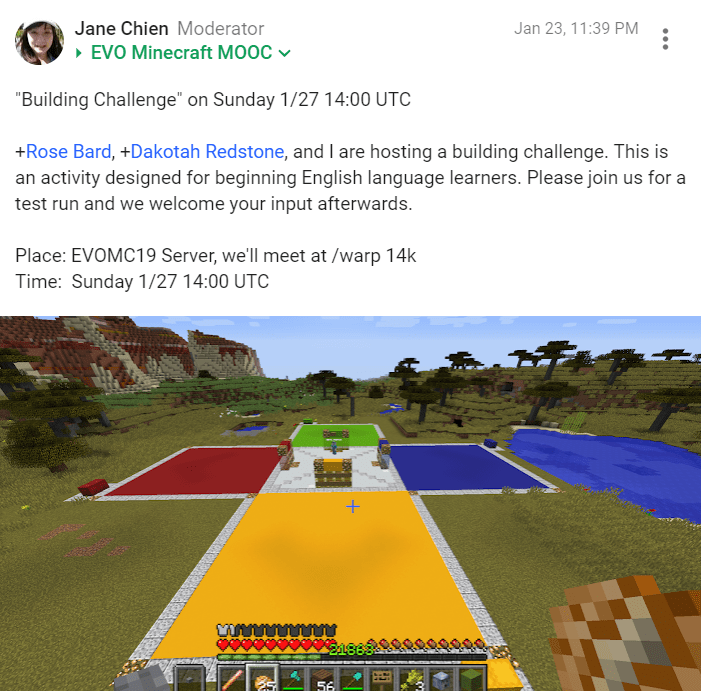 This says that +Rose Bard, +Dakotah Redstone, and Jane Chien are hosting a building challenge. This is an activity designed for beginning English language learners. Please join us for a test run and we welcome your input afterwards. Vance didn’t stream the event. I was distracted getting Discord to work. 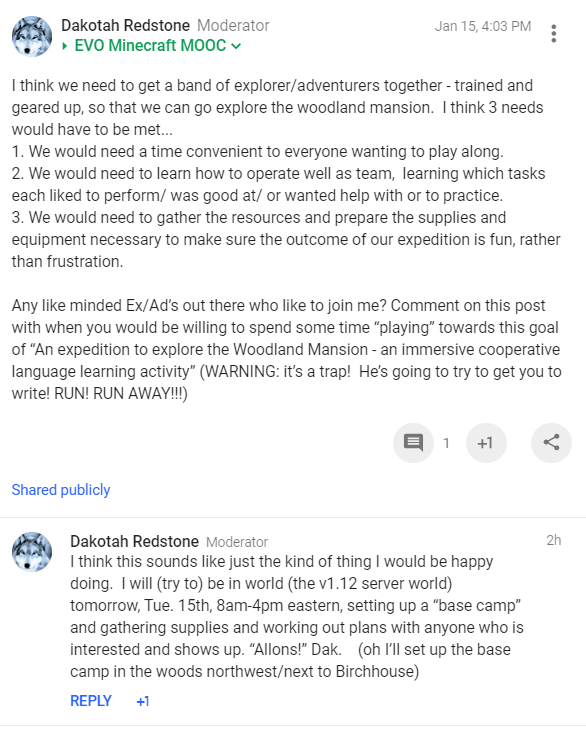 This is for anyone with questions or who wants some guided practice or who just feels like playing and happens to be there. 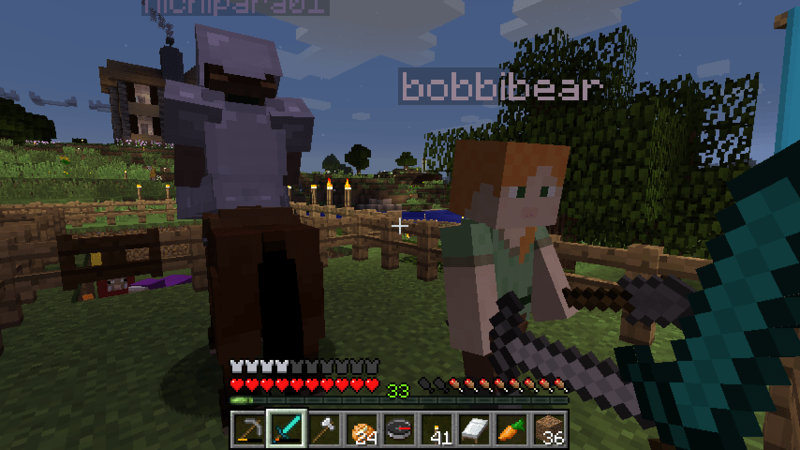 We’ll be in Minecraft 1.12.2 and in Discord. EVO moderators met in Discord and talked about how to help participants who were weak in English. In the background we worked on our projects individually. 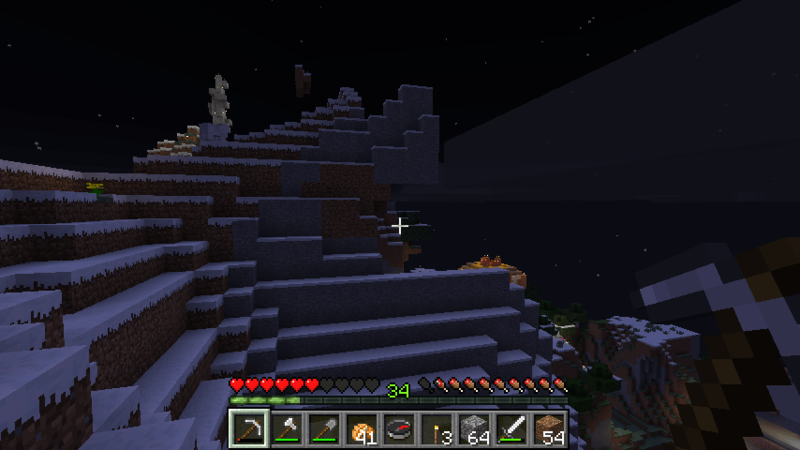 Teacher Vance traveled to the 20k area and found a desert temple there. 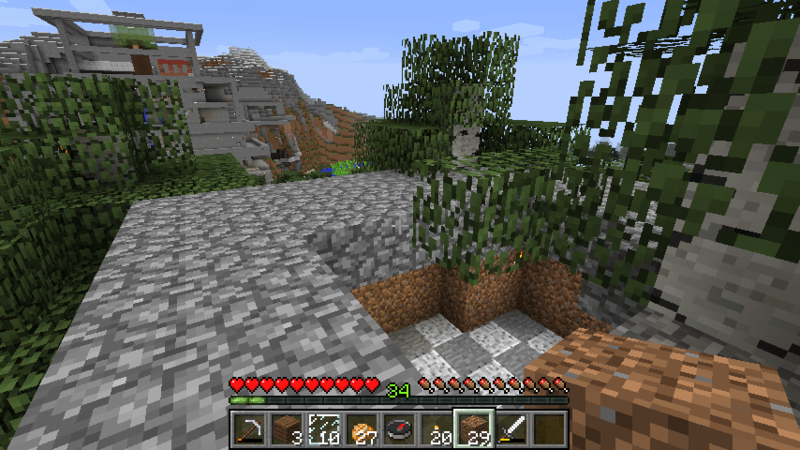 I hope to return there with an expedition to excavate it. 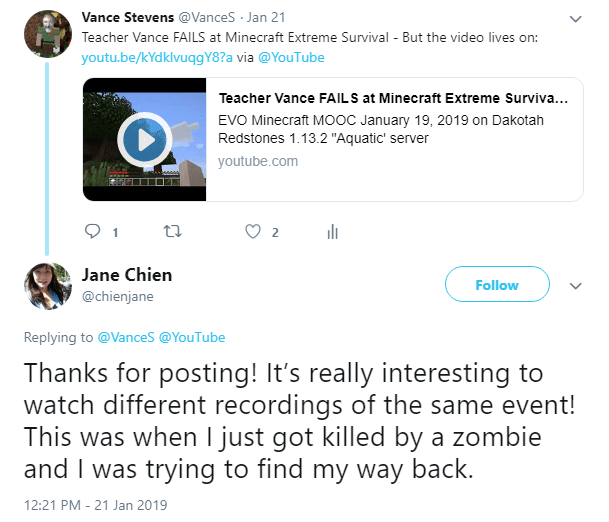 No event was declared for today, but Teacher Vance went into Discord at around 1300 UTC to see who was there. Rose was there working on a project she was planning with Jane. 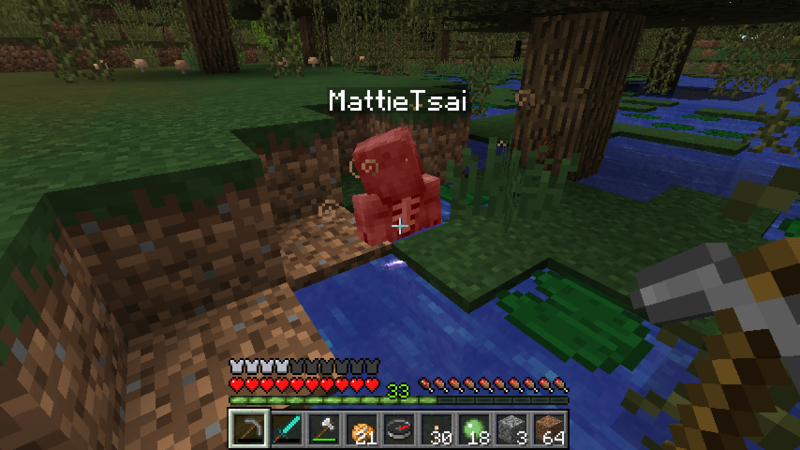 I went to the server and found Michiyo there. I tracked her down wandering around the boat buildings near the Birch House. I asked her what she wanted to do. She said she wanted to build a house, so we wandered up the hill opposite the causeway leading out to the floating structures. 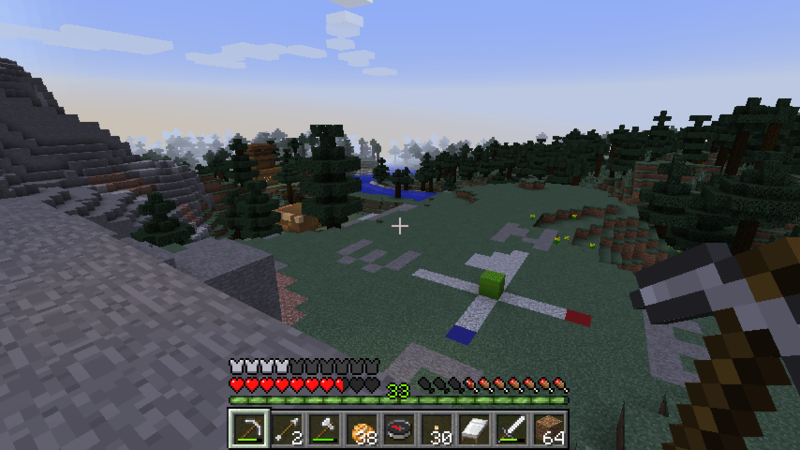 I found a flat area, a clearing in the woods, and as the sun was getting low on the horizon, I suggested we build there. We set to it. 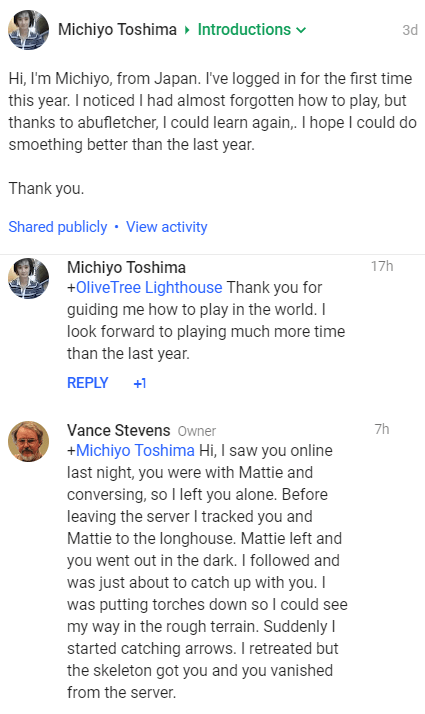 There was not a lot of conversation because Michiyo wasn’t in Discord and there was little time for text. I decided to model the process. 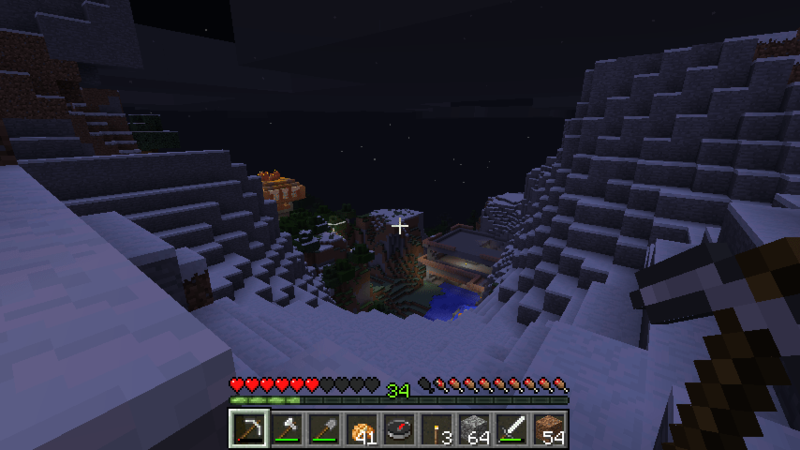 I laid down dirt walls and when it got dark I planted some torches. 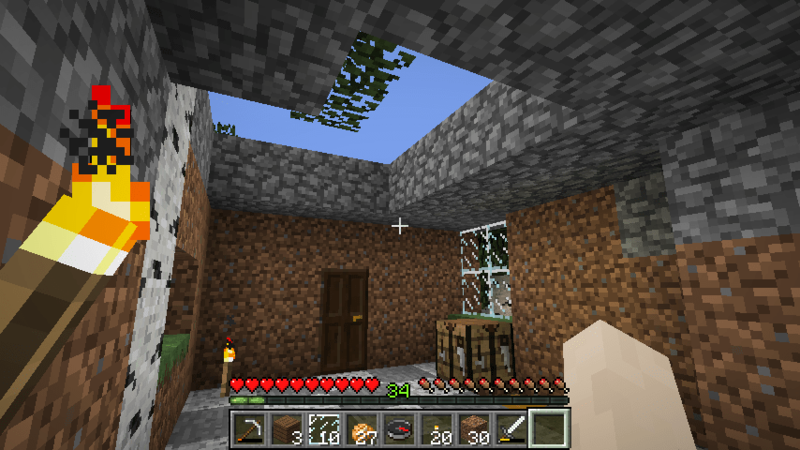 When I ran out of dirt I added cobblestone for the ceiling. 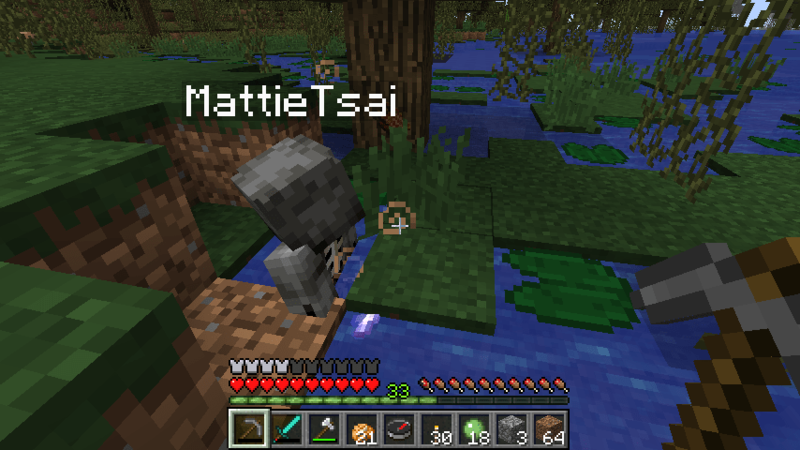 Michiyo followed my actions and helped building. Soon Dak arrived, followed by Jane. By then I had pulled some glass from my inventory and made windows, and donated my bed (I can always make another). Dak added a door and attractive flooring. 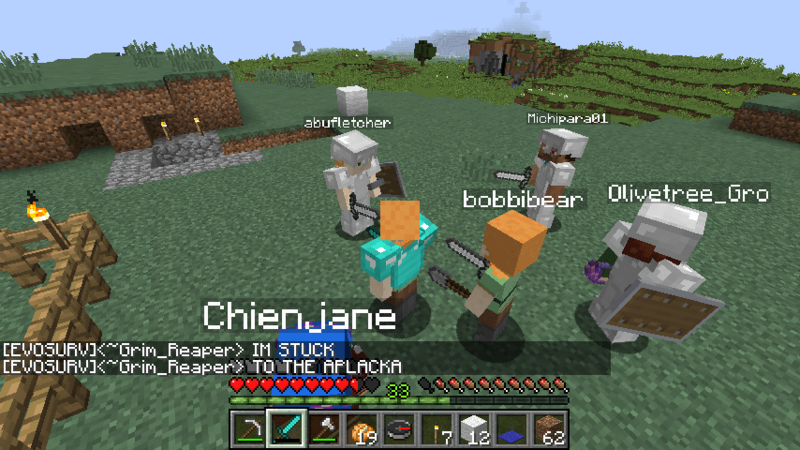 When Jane arrived I left them to complete the job because I had a real life dinner cooking in another room. 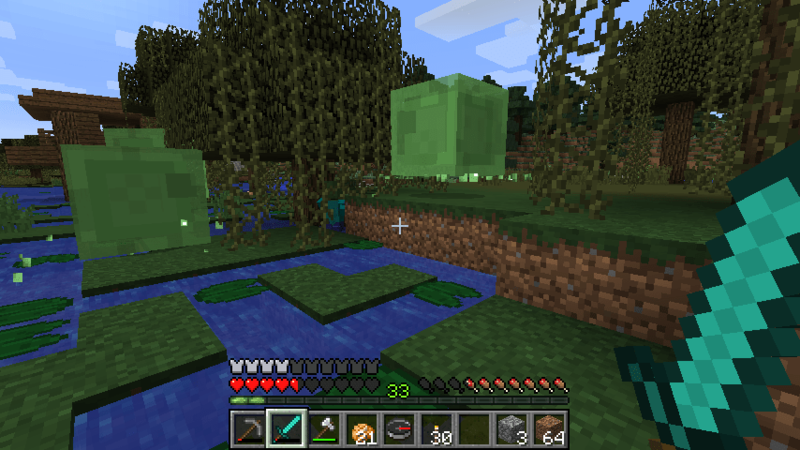 When I returned next day, I found the place appearing much as I had last seen it. 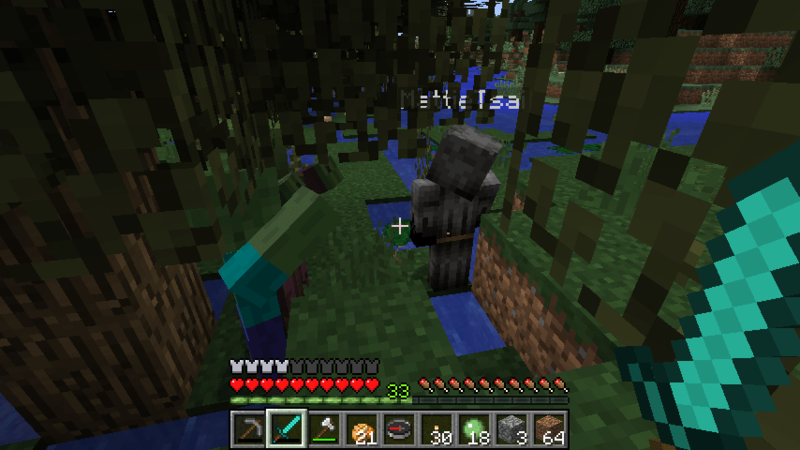 There have been discussions among moderators as to the “correct” approach to getting newcomers into the game. Ideally it would be good to have workshops IF we could get people to attend them. Workshops can lead people efficiently into building, but self-guided tutorials are helpful for just-in-time learning. 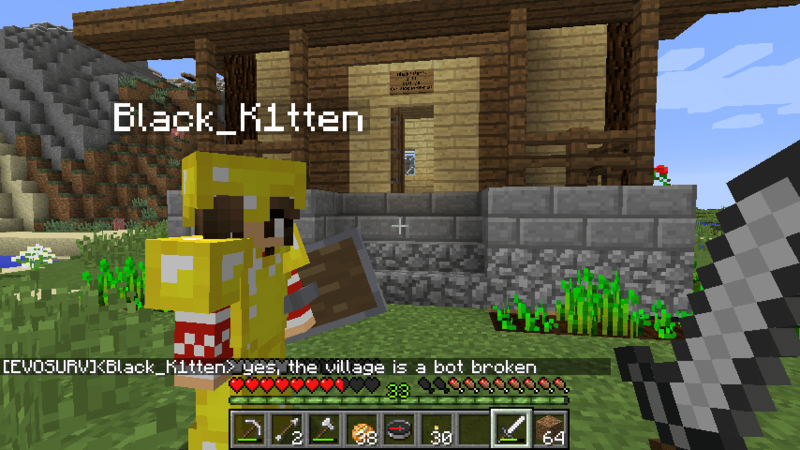 My approach is to just “be” on the server when I can and help people when they have a question. So when Michiyo said she wanted to learn to build, I was there to model it for her. 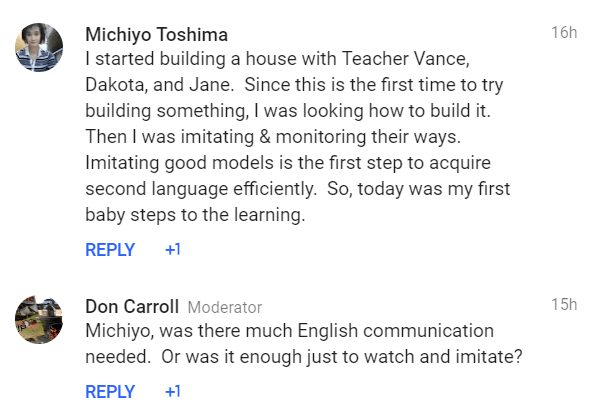 Now that she knows what she wants to do, and as she often drops by the server, we learn more about how we can guide her, but in the MOOC way, in response to learning what SHE wants to know. Both approaches have their merits. It’s good if a group of moderators can work on both approaches in aggregate. 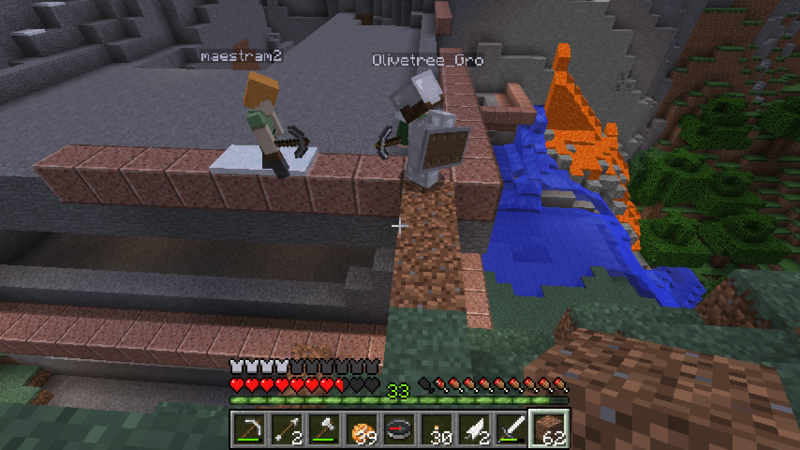 There has also been much discussion about how we can help participants who are weak in English improve their language skills, or at least achieve a point of flow where they feel comfortable to where they want to learn enough language of their own accord to interact with us in English, and we have in fact written a lot ourselves on the language benefits we believe accrue from playing Minecraft, but that is for another post, perhaps for discussion of some sort as suggested by Don in this post on the Google+ Community. We have created a Doodle Poll for Saturday Jan 26 for the times in the morning we can be available. You can find the poll here, hopefully times given in your time zone (starting at 2 am UTC, 8 pm in Chicago): https://doodle.com/poll/ae98udezap5ce5ib. 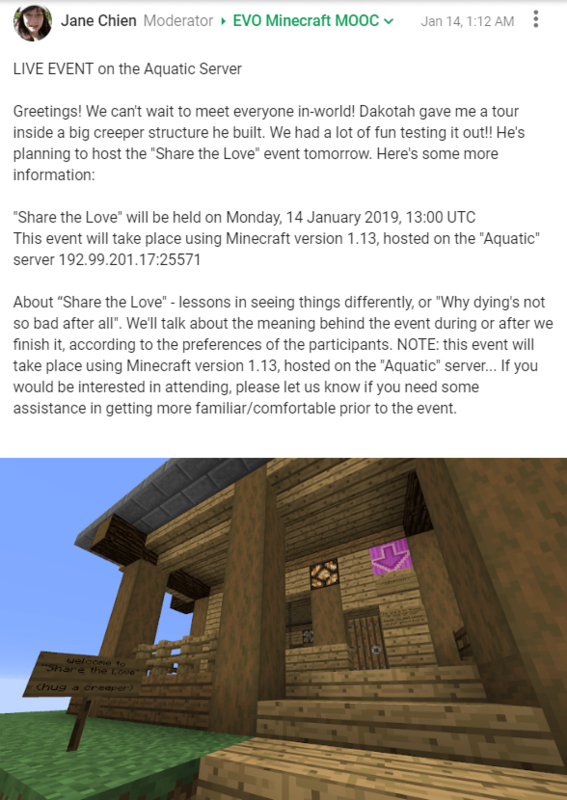 we’ll see it, and we’ll schedule a time we will definitely be in Minecraft when we know that others can be there. Or go looking for desert temples. 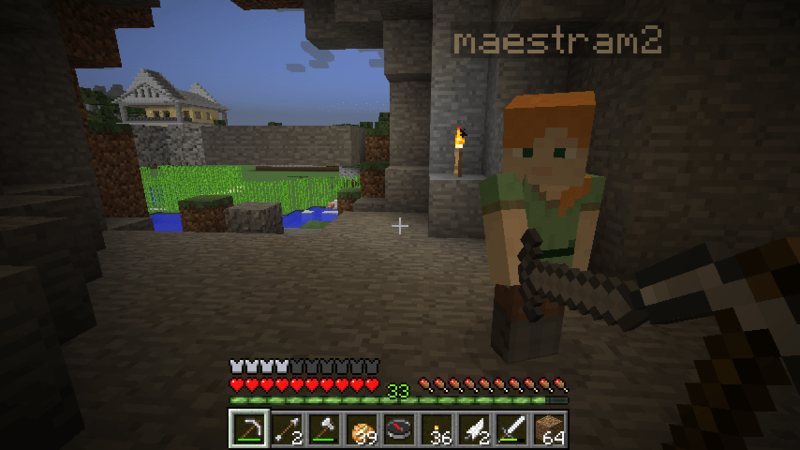 Teacher Vance knows where two are, at least one of which (the one pictured above) is likely unexplored (hence not yet looted). 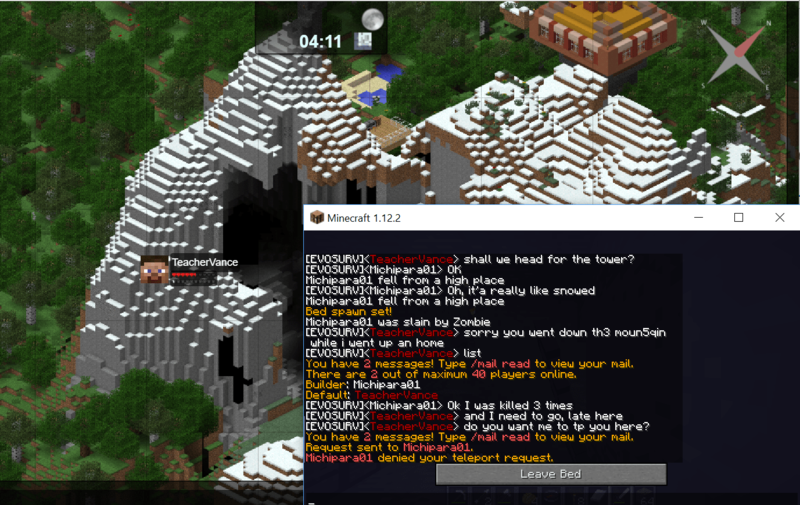 In the end, EVOMC19 participants were online only briefly, so Dak and I chatted in Discord while Teacher Vance roamed around the server, making discoveries which would help me lead adventures later and creating paths. 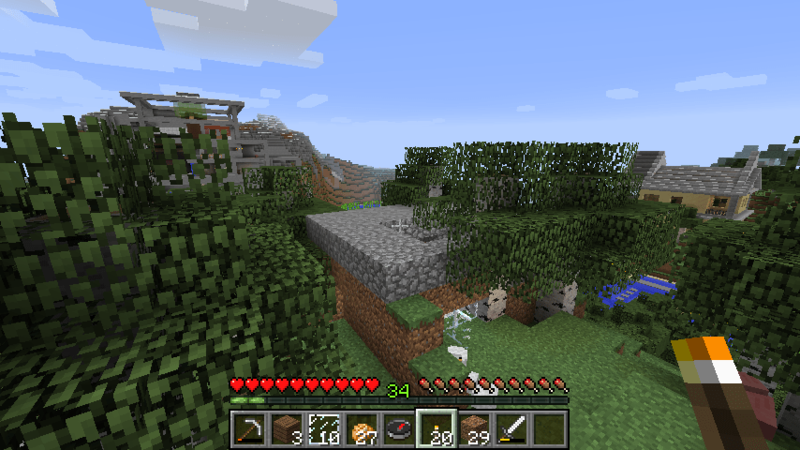 In search of the Woodland Mansion I happened on mountains where alpacas live. 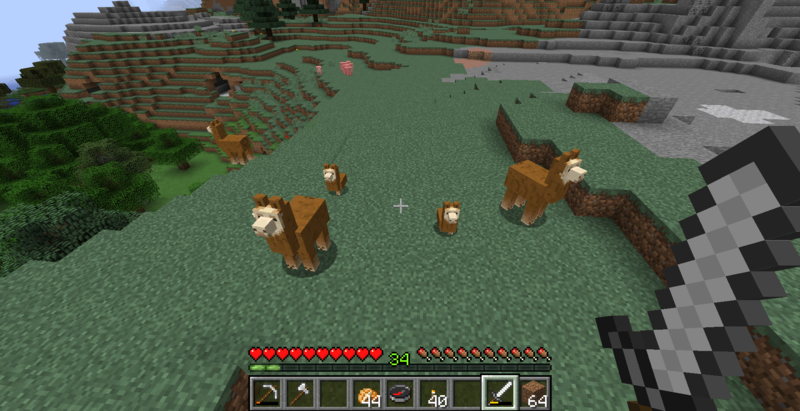 There were several herds of brown and white ones. 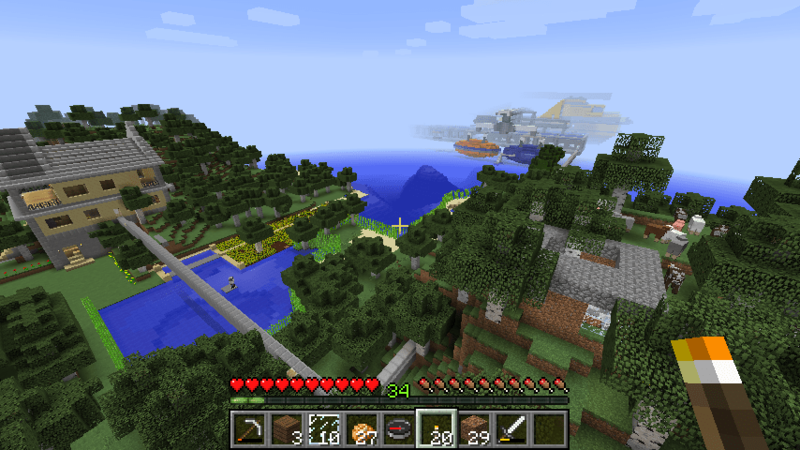 Southwest of that I came across a village. The alpacas were in the mountains in between.